Kathy Wismar is represented by the Grand Hand Gallery. 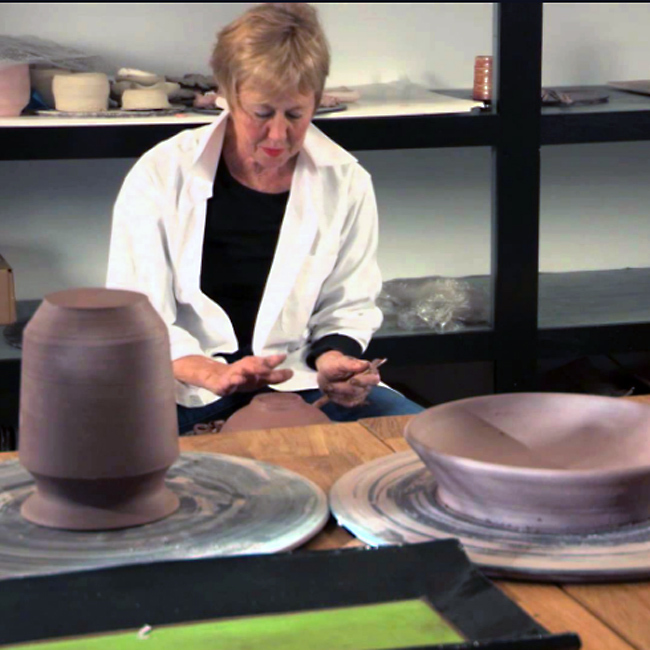 Kathy Wismar is both a ceramicist, specializing in wheel-thrown and hand-built functional pottery, and an abstract painter working in watercolors and acrylics. In both media, her skill with form and color play are evident. Kathy has been exhibiting her work nationally since 1992. The artist has honed her craft at workshops and through study projects over the years, notably at Colorado’s Anderson Ranch and the Corcoran School of Art in Washington, DC. She is a regular participant in Randy and Jan McKeachie Johnston’s annual Wood Kiln Firing Week in River Falls, WI.